Touch of Taryn Charity game on February 10th 2018. 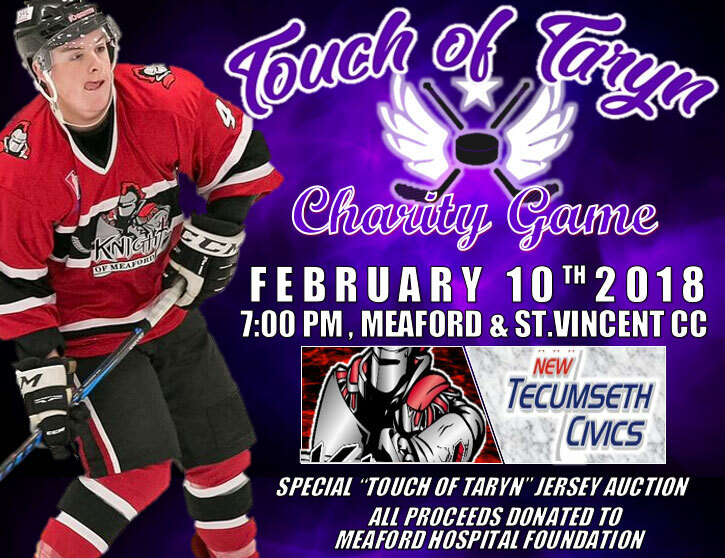 The Knights of Meaford are hosting a special charity fundraiser for the Touch of Taryn at their game on Saturday night. 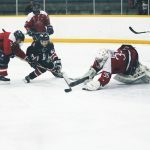 The Knights host the New Tecumseth Civics at 7 p.m. at the arena. The team is hosting the Touch of Taryn charity game that evening. The team will be auctioning off custom jerseys, conducting a 50/50 draw to raise funds and selling Taryn’s sketchbook prints. In November 2013, Taryn Hill died in a tragic fire in Thornbury. She was just 19 years old and left behind her daughter Payton. Last year, her family formed the Touch of Taryn to raise funds for local charity groups focused on domestic violence, extracurricular enrolment and grief support. Since starting in August 2017, Touch of Taryn has raised $11,000 for local organizations and charities. Knights of Meaford Marketing Director Jason Acres said the evening will be a fun night for the whole family. The Knights players will all be wearing special jerseys with Taryn’s name across their backs. The jerseys will be auctioned off after the game.